We recently rewatched this movie and I know by now not to be surprised by the Coens and their music. I still need to check out Llewen Davis — I’m sure that’s true of that film. Dude, this is fantastic. If I was gonna write up a review of this soundtrack, it would be what you wrote in my head, and something gibbering and tossable on the page! You nailed it! Always liked the soundtrack more than the movie. But it’s been ages since I last saw the film, so perhaps it needs another spin to change my mind on it – I fall into the camp of “get it, and appreciate it, but was ultimately ambivalent” last time through. But the soundtrack CD. YES! Thanks man, I appreciate that coming from you. You are always so encouraging. I LOVE your dad’s quote. Save that for a future Forrest Gump review! I do have the Gump soundtrack here, I oughta get to it in 2022. Yeah no kidding…I feel the same way! My lovely wife found a promo Whitesnake single for 99 cents today. Has a non-album version on it! SCORE! Cheers for junk stores. I was telling Deke, I could do an album a day for several years before getting even close to caught up on my stuff here. And that’s assuming I stop buying new things (haha like that’ll happen). I’m starting to think getting to the end of the collection is a pipe dream. Nice Whitesnake score! I love junk shops. I work for one! I saw that, yeah I will never catch up! If I could write every single day and not listen to the same albums twice…it would be a peace of cake. But I ain’t doing that! I’ll bet I could do it, especially if one of the two was an album I’d heard before (which is lots of them, here). But I also recall burning out after doing 100 posts in a month. Remember that? That was AWESOME! I could do it long before you could, thoug. You actually put time and attention and real details into your posts. I yap off the top of my head! I remember that! Yeah and I’ve been burned out many times, so that’s one reason I like to keep a backlog going. I don’t usually have a backlog of posts, actually. I just do ’em as I go, and right now it’s adding up to once a day. If I want a Week Of Something, I just do one a day that week! Love this film. Clooney was phenomenal and the music just added to it all. My favourite line. That movie is on Netflix, I think I should go for a full-on HD viewing. Haven’t watched it in a couple years! Great write up Mike. I’ve never bought this one but I do love the music here. Gillian Welch is a huge fave of mine, you got any of her stuff? Just stuff on soundtracks such as this, but I could easily go for albums by anyone on this CD. Her guitar player (and I think partner/husband?) David Rawlings is an incredible player too. It’ll come as no surprise that I’m a big fan of this one – loads of awesomeness. The movie is a favourite of mine too! “We’re in a tight spot!” Right on J. Yeah, it’s on Netflix so I’ll be doing an HD re-watch very soon. Hahhaa thanks! Great soundtrack for the summer months. Here’s a fact — did you know at the time O Brother was one of the most computer-enhanced movies ever made? They wanted all the scenery to look very hot, drought-like, burned out. So they used computers to “brown” all the scenery. Pay attention and you’ll see. Now that would have been a hot summer! I just watched it again last night on Netflix. Man, I laughed SO HARD! How hard is it to find a decent hair jelly anyway? LOL Clooney, Nelson and Turturro knocked it out of the park but all the supporting cast was amazing too. I need to watch it again soon, your enthusiasm is infectious!!!!! Old people are the best at titles. My stepdad really enjoyed It Don’t Get No Better. And when I was a kid, my buddy’s dad took him to see Spacenuts. OH NO WAY…Spacenuts…that is officially what I’m calling it from NOW ON. Great review. Immediately after seeing this movie my friend and I went out seeking this soundtracks. It’s an amazing listen from just a musical standpoint. I’m very much a fan of a cappella music and “O Death” is a macabre listen. Ralph Stanley (Rest In Peace – June 23, 2016) has a great voice for the song. It’s one of those songs that really grabs you. Despite the scene it was used in, it’s very effective song. Another a cappella favourite is Alison Krauss’ “Down To The River To Pray” I love the building layers of voice in the song. The Soggy Bottom Boys music is brilliant and fits perfectly. The entire album is awesome. T Bone Burnett got a lot of movie soundtrack production work after this. He worked on, among many others, the soundtrack to Cold Mountain, The Ladykillers (Another Cohen Bros. movie), The Hunger Games and his influence was felt in Mocking Jay part 1 with the cue “The Hanging Tree”. Several years ago I had the chance to obtain a “For Your Consideration” copy of Carter Burwell’s score to “O Brother, Where Art Thou?” off of Ebay. I had the highest bid but I lost the auction by $1 because I had to go to work. I was so pissed off by that I never returned to Ebay again. O Brother came out at the perfect time for me. 2000 was the first year of my show (Visions In Sound) and the soundtrack featured prominently on my show at that time. It is definitely worth seeking out. 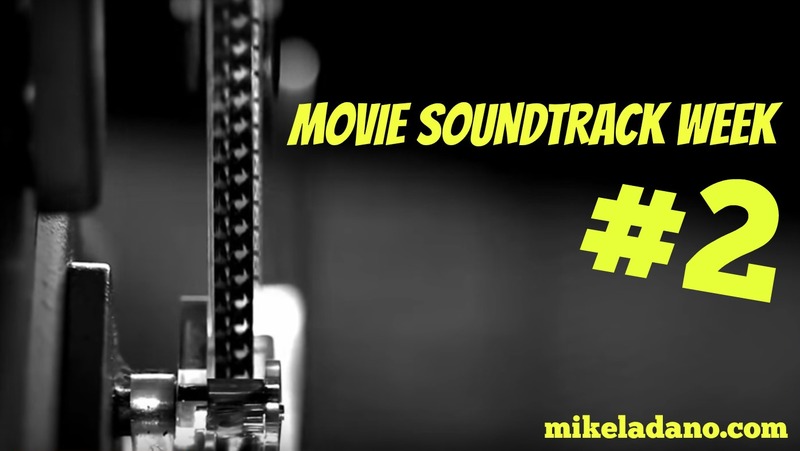 A fine soundtrack & a fine review Mike – always enjoyed that Brother can you spare a dime movie! Great write up. Guess I will have to check my taste, because I didn’t like this film when I watched it 15 years ago. The soundtrack, however was something special. K loves both the film and the music. Almost immediately after we watched the movie, he took to Napster (hah, 2000s) to get the soundtrack, and followed the Soggy Bottom Boys’ career for a while. Give it another watch? It’s on the Flix of the Net. Oh Napster! I was using…WinMX I think at that time! Soon to switch to Limewire.